← The TRB Comments of the Week! One of the best things about the UNC-Duke rivalry is the fans of the two respective schools. For the most part we both have loyal, intelligent fans who enjoy nothing more than to engage in debate and discourse. 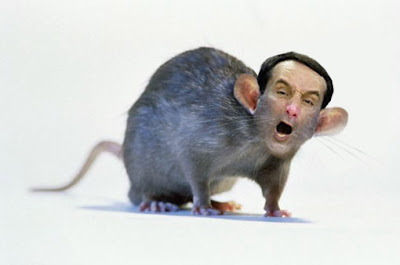 From discussion of the similarities between Coach K and certain members of the Muridae family, to reviews of Rashad McCants' latest acting role as a bisexual, cross dressing shoplifter, it's the conversation that occurs between fans that makes this the best rivalry in all of college sports. That's why when building this site, we wanted to encourage fan participation and some loyalty among our readers. We've been working on a number of features to make it both easier and more enjoyable for visitors to this website. To take advantage of these features, the first thing you will need to do is register for the website. This will make commenting easy, as you won't have to reenter your name and email address every time, but it also provides some additional benefits. We've made registration convenient. Simply click the Register button in the toolbar on the right side of the page. You'll be prompted with a modal window like the one you see to the right. That's all there is to it! Now on to the fun stuff. Once you log in, you will see this version. 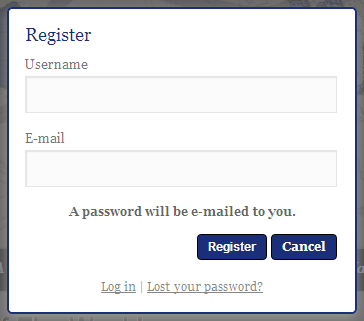 Once you receive your password via email, you can use that to login to the website. Click the Login button on the toolbar on the right sidebar. Enter the Username you selected and the Password that was emailed to you. Once you login, the toolbar will change and will show an Edit Profile button instead of a the Register button. Notice the differences in the images in Figure 2. Now that you are logged in, you may want to change your password to something easier to remember. Click on the Edit Profile button on the toolbar in the right sidebar. Scroll down to the section that says New Password. Scroll to the bottom and click Update Profile. You may have noticed little pictures next to some of the comments over the past week. (See Figure 3 for an example) We call those avatars. By registering, you can set your avatar to any picture you want*. Scroll to the bottom and click Update Profile​. *Any picture we determine to be inappropriate may be deleted. Repeat offenders may have avatar privileges revoked. Click the button next to the school you pull for. We hope you enjoy the features that we built into the site. We're constantly brainstorming ideas to add more features to make this even more of a community. We hope to make this site the place to go for the greatest rivalry in all of sports. ​If you have any thoughts, suggestions, questions or comments, please feel free to use the Contact form to let us know. 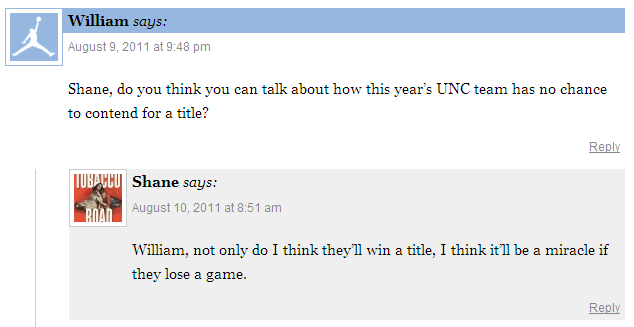 William is a life-long Tar Heel, UNC alumnus and the developer of this website. You can follow him on twitter @wearnhardt. This entry was posted in Miscellaneous and tagged avatar, help, profile image, User Profile. Bookmark the permalink.